IVANOVA,Lili - Lili Ivanova - made in LATVIJA! 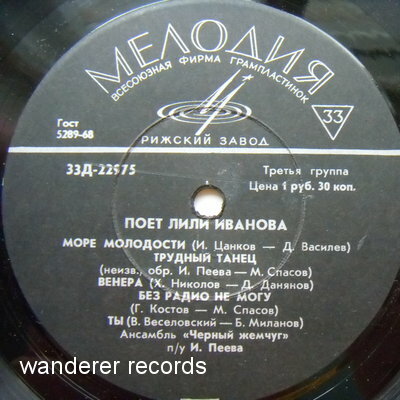 VG+/VG+ 22975, rare original 1969 LATVIAN pressing. Some general wear due to keeping with no innersleeve, not scratched.